34-37. And when He had called the people unto Him with His disciples also, He said unto them, Whosoever desireth to follow after Me, let him deny himself, and take up his cross, and follow Me. For whosoever desireth to save his life, shall lose it; but whosoever shall lose his life for My sake and the Gospels, the same shall save it. For what shall it profit a man, if he shall gain the whole world, and lose his own soul? Or what shall a man give in exchange for his soul? Since Peter had rebuked Him for wanting to be crucified, the Lord called the people unto Him, and said in the hearing of all, but directing His words mostly towards Peter, “Do you find fault with Me, Peter, because I take up the cross? I say to you, that neither you, nor anyone else, will be saved unless you die for the sake of goodness and truth.” See that Christ does not compel a man to die on a cross against his own will. Instead He said, Whosoever desireth. The Lord is saying: “I compel no one. I invite him to something good, not to something bad to which he must be forced. Whoever does not want these things is not worthy of them.” We can learn what it means to deny oneself if we understand what it means to deny another. He who denies another is he who, when he sees his brother, or servant, or father, being flogged or even murdered, does not turn towards him and pity him in his suffering, but acts as if he were a stranger to him. In this same manner the Lord wants us to show no pity towards our own bodies, so that even if we are flogged, or worse, let it make no difference to us. Let him take up his cross, that is, accept a most shameful death, for at that time to die on a cross was considered the most shameful of deaths. But since many were crucified for being bandits, the Lord added to the crucifixion something else: that one ought to have virtue. This is what it means to follow Me. Although His command that one give oneself over to death seemed hard and cruel, the Lord straightway shows this commandment is given out of love for mankind. For whosoever shall lose his life for My sake shall find life. (But the death of a condemned man, or of one who hangs himself, is not for Christs sake and brings no such reward.) And, on the contrary, he who appears to have saved his life, far from finding life, shall lose it by not remaining steadfast during his time of martyrdom. Do not say to Me, “But he has saved his life”, it means nothing. Even if you say that he has gained the whole world as well, it is of no benefit. No one can exchange money for his salvation, for if that were so, a man who had gained the world but lost his soul, could, while burning in the flames of hell, use his money to buy innocence. But at that time and in that place no such trade can be made. Here let us shut the mouths of those who say, following Origen, that all the souls in hell will be restored [and reunited with those in heaven] after they have been punished in accordance with their sins. (1) Let them hear that there is no exchange that can be made there for ones soul. No one is kept in hell as a punishment. Rather, it is the weight of his own sins which holds him there. 38-9:1. Whosoever therefore shall be ashamed of Me and of My words in this adulterous and sinful generation; of him also shall the Son of Man be ashamed, when He cometh in the glory of His Father with the holy angels. And He said unto. them, Verily I say unto you, that there be some of them that stand here, which shall not taste of death, till they have seen the kingdom of God come with power. Intellectual faith does not suffice, but confession of faith with ones mouth is required as well. Since man himself is two-fold, let his sanctification be two-fold as well. The soul is sanctified by faith, but the body is sanctified by confessing. Whosoever therefore shall be ashamed to confess that the Crucified One is his God, of him also shall the Crucified One be ashamed. For the Lord shall judge that man to be an unworthy servant, when He comes with glory, escorted by the angels, and no longer in lowly form. At the second coming He will not appear, as He did before, to be of base origin and circumstance, and an object of scorn. Since He speaks of His own glory, He desires to show that He is not vainly boasting, and says, There be some of them that stand here, namely, Peter, James, and John, who shall not die until I have shown them at the Transfiguration the glory with which I shall appear at the second coming. 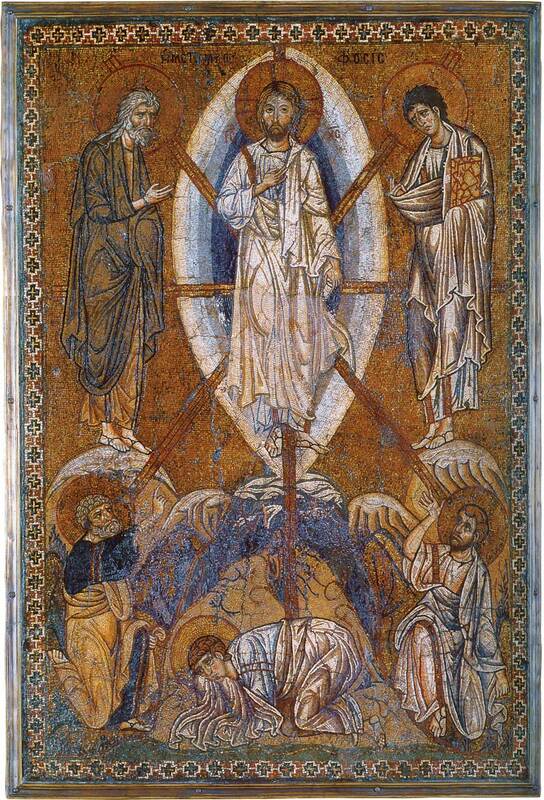 For the Transfiguration was nothing less than a foreshadowing of the second coming, and as He appeared in radiance then, so will He shine at the second coming, as will also all the righteous. 1. 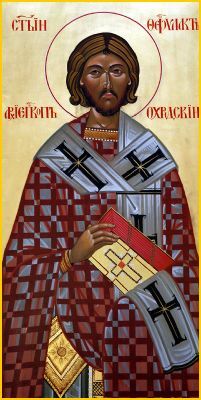 This false teaching of Origen, apokotastasis, the general restoration of all fallen creation, was condemned by the Church as heresy at the Fifth Ecumenical Council held at Constantinople in 553 AD.